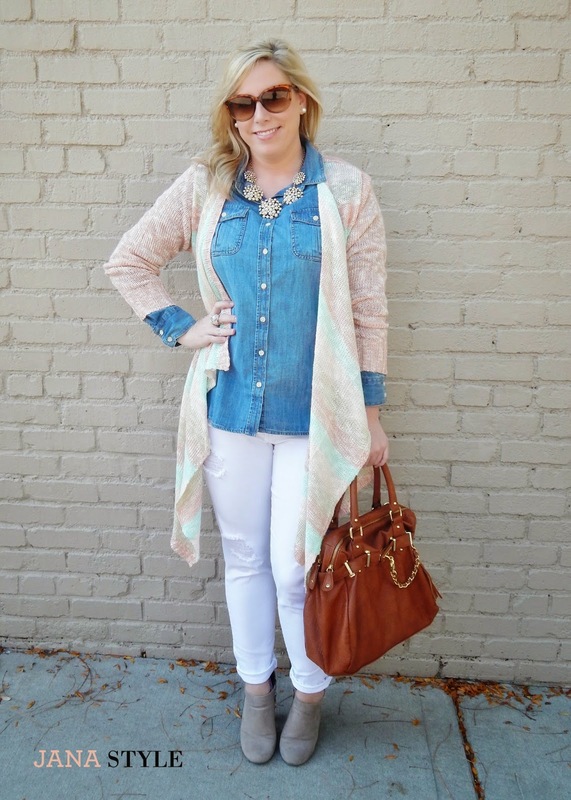 I found a new online boutique and I am excited to share it with you today and YES, I am still wearing my white denim! It's Okay, don't be stuck in the rule of not wearing your white after Labor Day!! Do it! 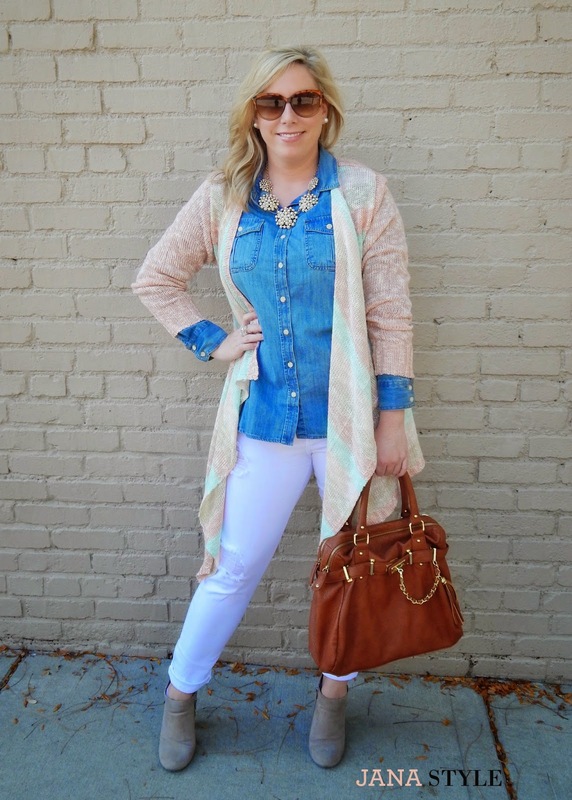 I love the way white denim looks paired with boots and chambray. 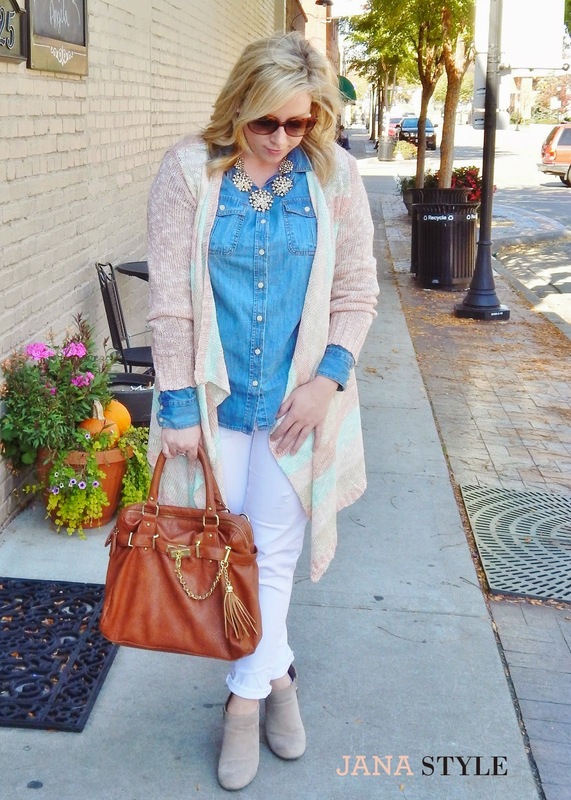 This sweater from BlueTique is a perfect cover up for this look. 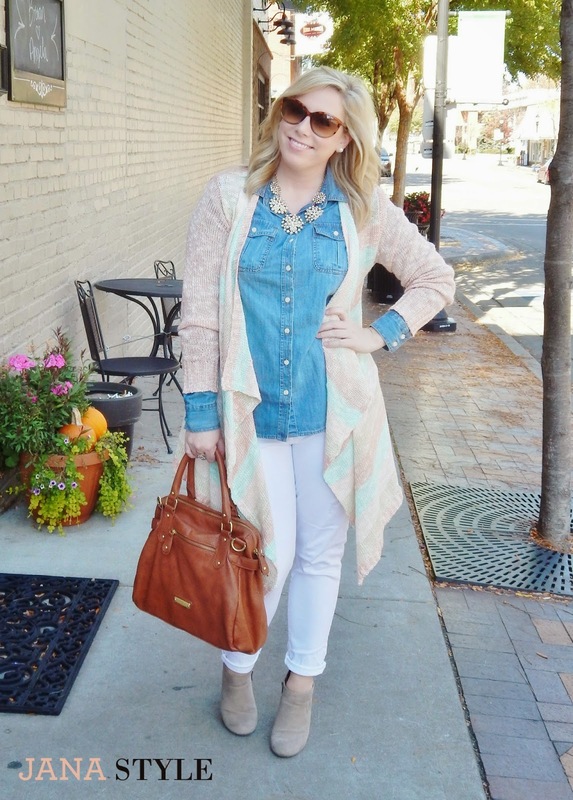 Layer up your white denim for a flawless fall outfit. I've got a special discount code for you to check out the BlueTique Cheap Chic website too! The site is full of really cute pieces for fall and I have a few things on my wish list! 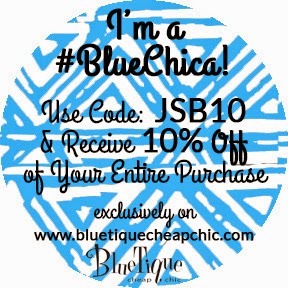 Don't forget to use the code JSB10 for 10% off your total purchase! This post was written in partnership with BlueTique and JANA STYLE. All opinions are my own. off the hook cardigan !!!! This is a great weekend look! Definitely inspired to recreate!